Many Frisians feel solidarity for the Catalans. The emotions related to speaking a minority language are familiar. But, as opposed to the Catalan language in Catalonia, Frisian was never forbidden in the Netherlands. Still, Catalonia feels near for Frisians. 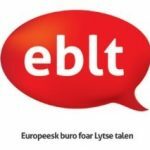 This is why the European Bureau for Small Languages (EBLT), Mercator European Research Centre and Rijksuniversiteit Groningen (RUG), department of Minorities & Multilingualism | Frysk organise an evening for speakers and discussions on the Catalan situation. Experts from the region and from Fryslân will shine a light on the situation, and invite the audience to join the discussion. Prof. dr. Goffe Jensma is head of the Frisian language and literature department, and director for the studies MA Multilingualism and BA Minorities & Multilingualism at the University of Groningen. In his presentation, he will make a comparison between Fryslân and Catalonia, but also with other European minorities. Dr. Eva J. Daussà, lecturer of linguistics at the University of Groningen, will briefly present the historic, cultural and political context. Dr. Tilman Lanz, lecturer of anthropology at the University of Groningen, will reflect on ethnic and civic nationalism, non-violence, and the implications of the Catalan conflict for Europe. 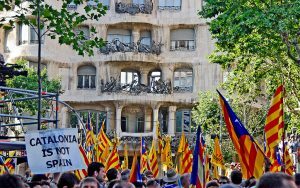 Student MA Multilingualism Guillem Belmar experienced the events in Catalonia first-hand, and speaks movingly about the emotional side of the referendum and the events leading up to it. Frisian journalist Sybrand Grasdijk visited Barcelona and made a documentary about the events leading up to the referendum, the video of which will be shown in the course of the evening. Newer Post Catalonia: nearby, but far away Older Post Minorities & Multilingualism top rated programme 2018!